 If you've ever dialed 411 to find a telephone number in North America, there's a 90% chance that some portion of your call used infrastructure or services provided by VoltDelta or its affiliates. VoltDelta applies this "billion call" hosted platform for enterprise reach and response customer care with Contact Center On Demand (CCOD) and voice self-service solutions.VoltDelta technology providing intelligent call routing, agent desktop, call recording and patent-pending voice recognition works to improve retention, encourage loyalty and reduce costs. Organizations of all sizes can cost effectively deploy agents without boundaries and include home agents with centralized queue management, multi-channel communications and integration with CRM systems.Patent-pending voice recognition technology encourages engaging dialogs, enabling rapid and successful call completion especially for more complex interactions. If transfer to an agent is requested, VoltDelta's WhisperTel provides an agent "heads-up" by playing a recorded segment of the automated dialog to avoid repeating detail. "Remembering" a caller's last action and preference to receive an SMS reminder are additional examples of VoltDelta solutions that contribute to toward improving customer care cost effectively. VoltDelta's integration expertise, professional services consulting, and breadth of product and service offerings give you the flexibility to be creative in how you integrate and/or upgrade your existing systems, migrate to enhanced solutions, geographically distribute, and extend your overall contact center operations and services. VoltDelta has customers in 55 countries. Our core IVR, call management and database solutions each handle billions of transactions every year, with exceptional reliability and accuracy. Industry leaders trust VoltDelta's carrier-grade, leading-edge contact-center infrastructure, professional-services support and service solutions to power their local and global operations.